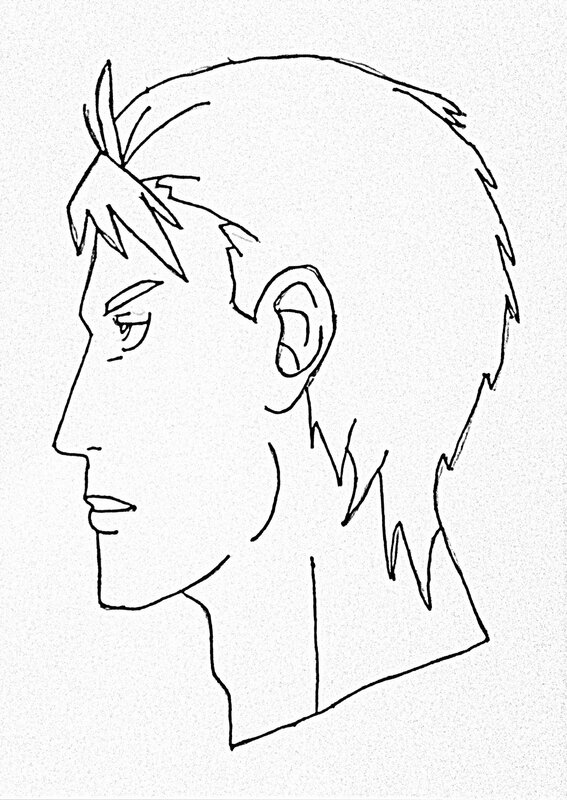 Today, our tutorial to be presented to you is how to draw male anime face in a side view manner step by step. This video tutorial is for beginners, so it does not include any pro techniques or stuff that professional designers do in similar speed art tutorials or illustrations. The requirements for this tutorial are a sharp edged pencil and a sheet of paper. My favorite characters are finji, totoro, vegeta and speed racer. Anime is a Japanese hand drawn or computer animation. Anime is derived from English word “animation”. Anime reflect special, cute type of Japanese animation style found in paintings, cartoon and video games. Anime are very popular among children and small kids love to buy anime bits and pieces as Christmas gifts. Anime is a diverse art form with unique production methods and techniques that have been adapted over time in response to emergent technologies. It consists of an ideal story-telling mechanism, combining graphic art, characterization, cinematography, and other forms of imaginative and individualistic techniques. This anime is a side-posed male with a fair complexion and beautiful eyes which we certainly can’t see from this angle. We hope this video will give you enough motivation to draw cartoon characters freely. So ride along us for further tutorials and do watch this video carefully. We hope this video along with other tutorials will give you enough practice to draw cartoon characters and anime on your own. Do watch these videos for at least two times and don’t forget to share this video tutorial with your friends and classmates.